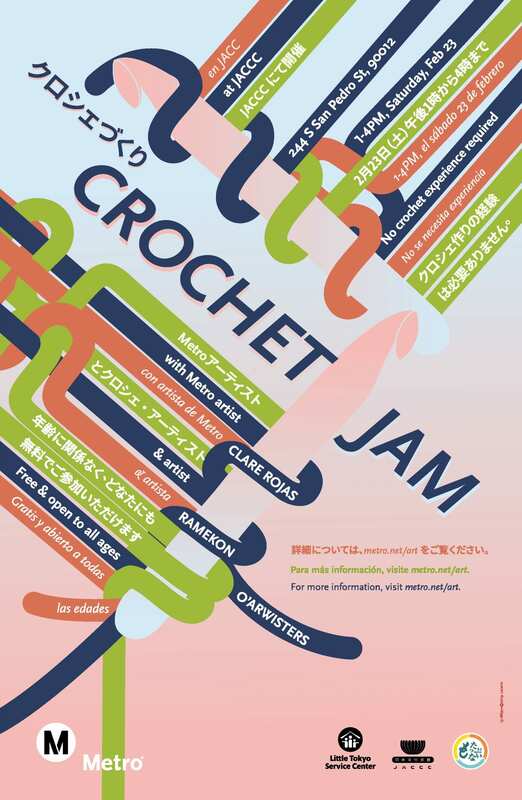 Join Metro-commissioned artist Clare Rojas and artist Ramekon O’Arwisters for a Crochet Jam on Feb. 23! The Jam, produced by O’Arwisters, positions participatory art-making as a platform for story exchange and building collective meaning. You can also learn about the inspiration of Rojas’ future artwork for the Metro Regional Connector Little Tokyo/Arts District Station, which is currently under construction. 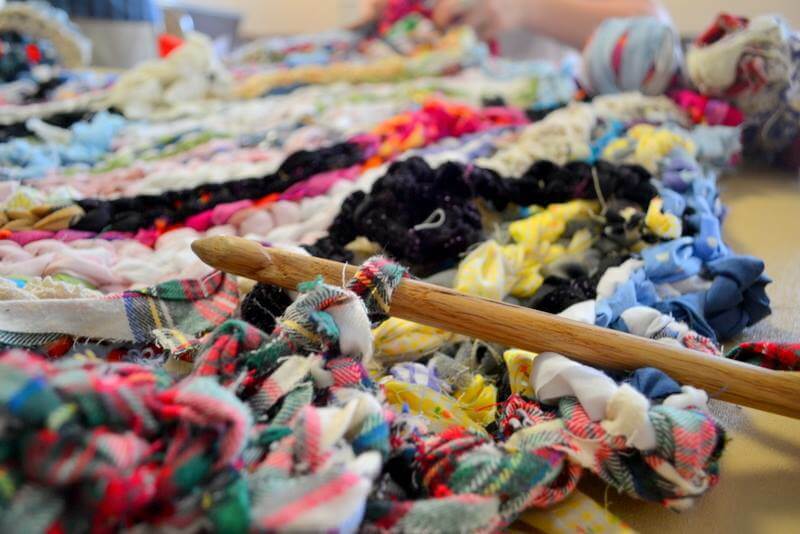 Bring pieces of meaningful cloth and fiber material that you are willing to contribute and crochet with us! The workshop will take place at the Japanese American Community & Cultural Center (JACCC). The workshop, held in collaboration with Sustainable Little Tokyo, is free and open to all ages. No crochet experience required. Go Metro by taking the Gold Line to Little Tokyo/Arts District Station. From there, it’s just a short walk to the festivities. Parking information can be found at http://www.golittletokyo.com/map/ (parking rates subject to change). Rojas’ artwork for the future station layers colorful abstract images of our natural and urban landscapes. It highlights the shared rhythms of land, water, sky and human as well as the layers of community and culture in the Little Tokyo/Arts District and surrounding neighborhoods. Click here to read the announcement about all seven artists selected to create artwork for the Regional Connector Transit Project. Stay tuned for future Meet the Artist events! How does this help Metro’s mission to provide transit services? It is “community outreach” to help ease tensions with Little Tokyo residents who may otherwise see Metro as a hostile organization.